Casino Complimentaries also referred as comps can be defined as rewards that are offered by casinos to their customers based on their gaming activity on race book, poker, slot machines or table. Casino management is monitoring your game play, win or loss , average bets , marker buy in , cash buy in , and the amount of time you have been playing . If you are a slot player, then coins, their number and their denomination is being tracked by machine. 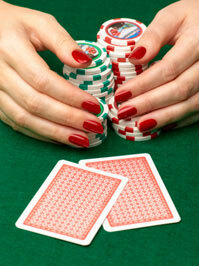 This information is then used by casinos for arriving at first your theoretical win which then decides your comp worth. Casinos have worked out to ensure that even if they reimburse the players at a predefined percentage of theoretical wins, it still remains cost effective to them. Win or loss is generally not the deciding factor in giving out these complimentaries. Comps can be of many types. They may include admission to shows, admission to limousine, airline ticket or food and beverage. Comp Banks are in fact storage of your unused or extra theoretical win points. You can use them for purchasing, dining cards, merchandise, show tickets and in certain cases are transferable for other sister properties. Your player card is your ticket to whatever you deserve. It should be used always.